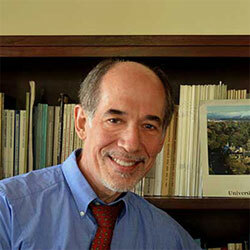 Jerrold Brandell holds the title Distinguished Professor, and currently serves as Associate Dean for Faculty Affairs. During 2017-18, he served as Interim Dean of the School of Social Work. He has twice before held the role of Interim Associate Dean for Academic Affairs (in 2011-12 and in 2016). Brandell has taught at Wayne State since 1992, and previously held faculty appointments at Boston University and Michigan State University. He has been a visiting professor at the Zurich University of Applied Sciences, Zurich, Switzerland (2014, 2016), Lund University School of Social Work, Lund, Sweden (2010), and The University of Canterbury, in Christchurch, New Zealand (1999). He has led workshops and lectured widely on clinical topics in the United States, as well as in Greece, Spain, Sweden, China, France, Israel, Switzerland, and New Zealand. Brandell is a past recipient of Wayne State University’s Distinguished Faculty Fellowship Award and the School of Social Work Award for Outstanding Teaching, and was a past recipient of The University of Chicago’s Edith Abbott Doctoral Teaching Fellowship. In March 2017, he was presented with the first-ever Selma Fraiberg Award for his contributions to the field of child and adolescent psychoanalysis at the 15th National Conference of the American Association for Psychoanalysis in Clinical Social Work, and in October 2017, received the Edith Abbott Award for Lifetime Achievement from the University of Chicago's School of Social Service Administration. A practicing child, adolescent, and adult psychotherapist, and psychoanalyst, Brandell is the author, coauthor, or editor/coeditor of thirteen books, including Narration and Therapeutic Action: The Construction of Meaning in Psychoanalytic Social Work (Routledge, 2017); Of Mice and Metaphors: Therapeutic Storytelling with Children, Second Edition (Sage Press, 2016), Essentials of Clinical Social Work (Sage, 2014); Theory and Practice in Clinical Social Work (Sage, 2011); Psychodynamic Social Work (Columbia University Press, 2004); Attachment and Dynamic Practice (Columbia University Press, 2007); Celluloid Couches, Cinematic Clients: Psychoanalysis and Psychotherapy in the Movies (SUNY Press, 2004); and Countertransference in Psychotherapy with Children and Adolescents (Jason Aronson, 1992). In 2019, Columbia University will release a significantly revised and expanded second edition of his book, Trauma: Contemporary Directions in Theory, Practice, and Research. He is also beginning work on a fully revised and expanded third edition of Theory and Practice in Clinical Social Work. Brandell is the (Founding) Editor-in-Chief of Psychoanalytic Social Work (now in its 25th year of publication), and also serves on two editorial boards (Clinical Social Work Journal and the Bulletin of the Michigan Psychoanalytic Council). In 2001, he was recognized as a distinguished practitioner by the National Academies of Practice. Brandell balances his academic and clinical interests with a life-long passion for musical performance. A former student of Oliver Nelson and Joe Daley, he periodically plays alto, tenor and soprano saxophones with a big jazz band in the Ann Arbor area, and has also led his own small jazz group. An expanded, updated, and fully revised version of a work originally published in 2000, this book’s focus is on reciprocal storytelling, a specialized psychoanalytic technique employed in work with children. Drawn from the author’s clinical practice with children and adolescents over a nearly forty-year span, the cases include children suffering from traumata, developmental problems, selfobject disorders, nascent personality disorders, and situational reactions (e.g., parental divorce and object loss). Published in March 2016 by Sage Press. This sixteen-chapter anthology, published in 2014 by Sage Publications (Los Angeles and London), addresses frameworks for treatment, therapeutic modalities, and specialized issues, themes, and dilemmas encountered in clinical social work practice. This is an international anthology released in 2012 by Routledge Press (London). An eleven-chapter anthology (coedited with Shoshana Ringel) published by Sage Publications in late Spring 2011. A newly revised and expanded 28-chapter graduate clinical social work text, Theory and Practice in Clinical Social Work, Second Edition, was published in February 2010 by Sage Publications, Inc.
For further details on other research, see the Center for Social Work Research website.